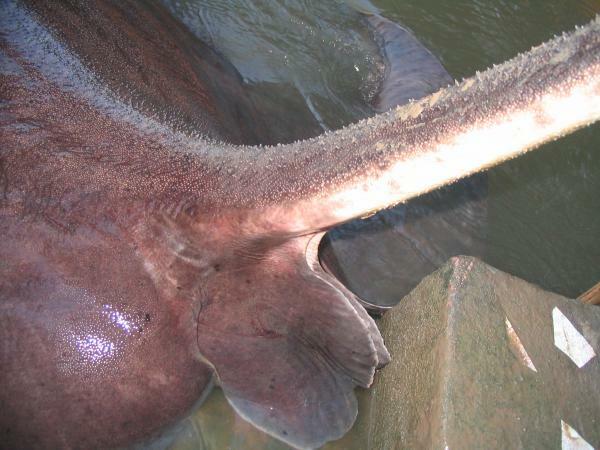 The awesome tail of a Giant freshwater stingray. 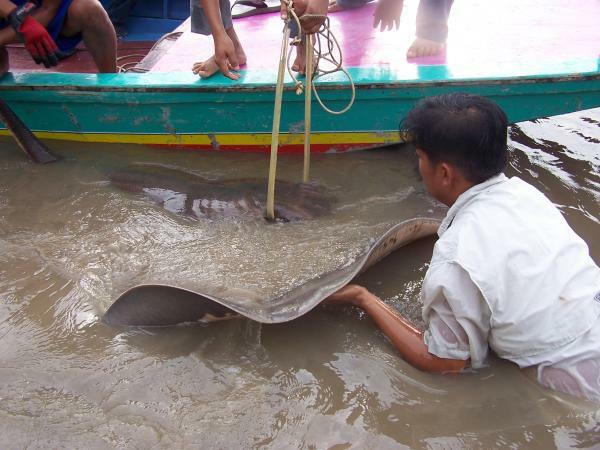 Giant freshwater stingray caught from the Ban Pakong River. 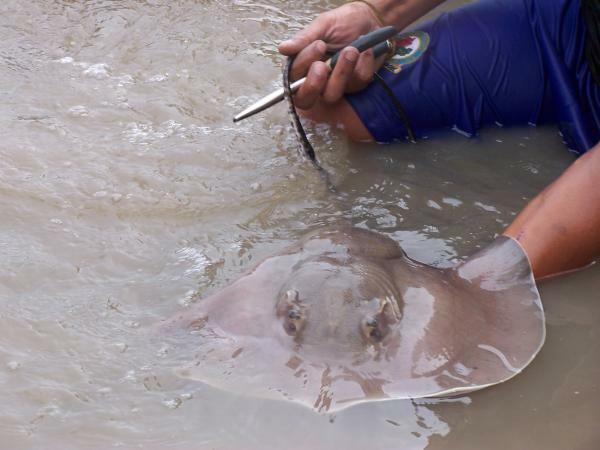 Giant freshwater stingray gave birth to a live newborn. 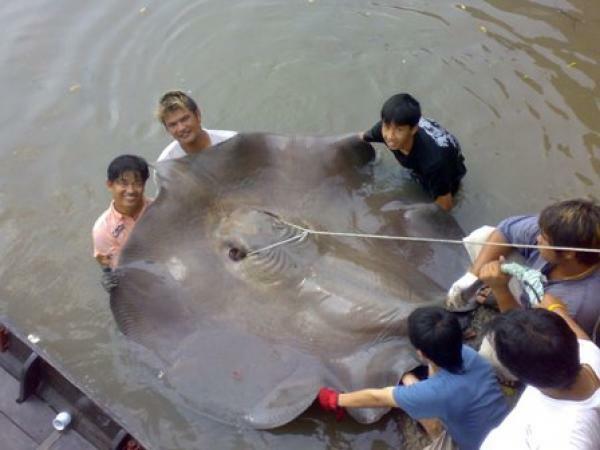 Giant freshwater stingray estimated 130-140kg(1.75m)caught from the Ban Pakong River. 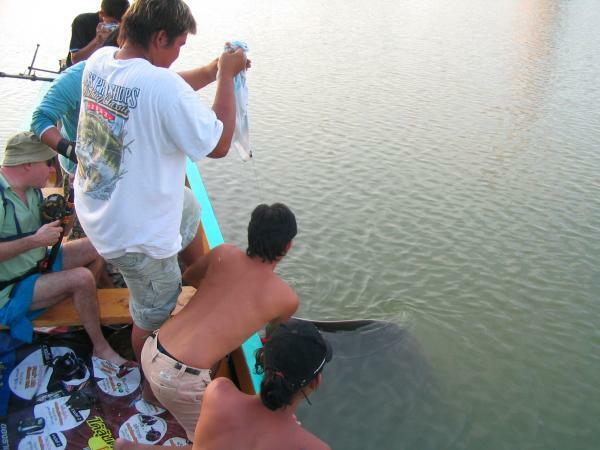 Big Giant freshwater stingray is brought to the bank on the Ban Pakong River. 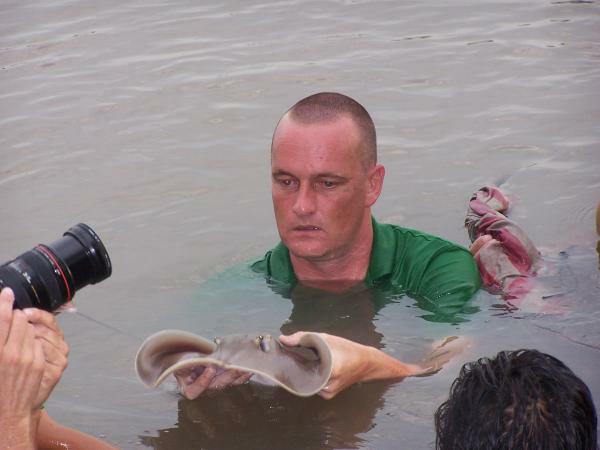 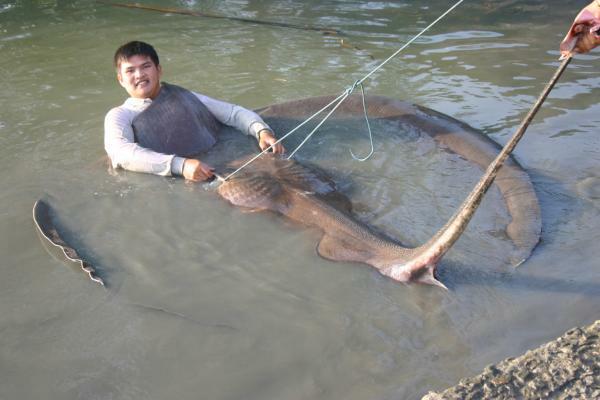 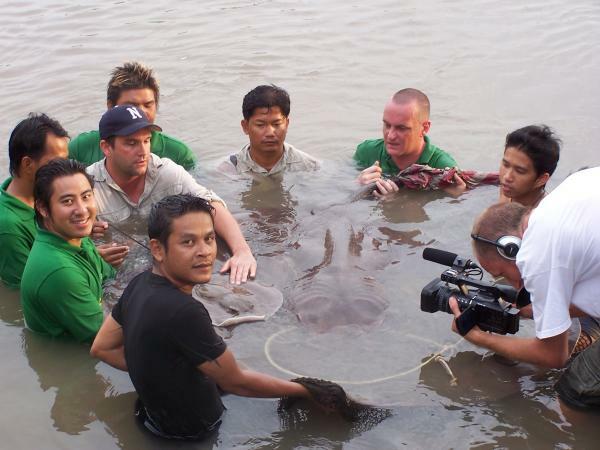 Giant freshwater stingray caught by Tom Parker estimated 180-200kg from the Ban Pakong River. 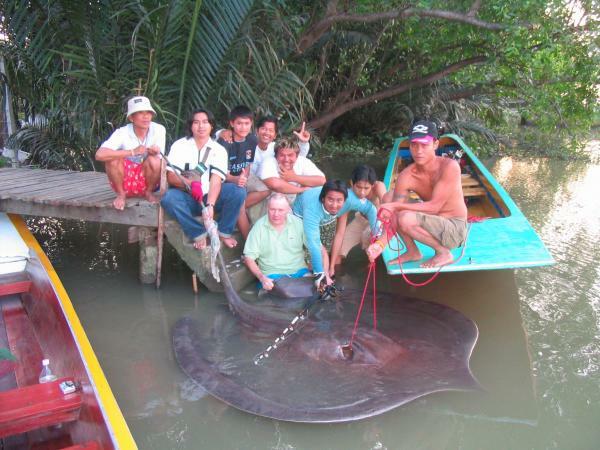 26/12/2007.Giant freshwater stingray caught by Tom Parker estimated 180-200kg from the Ban Pakong River. 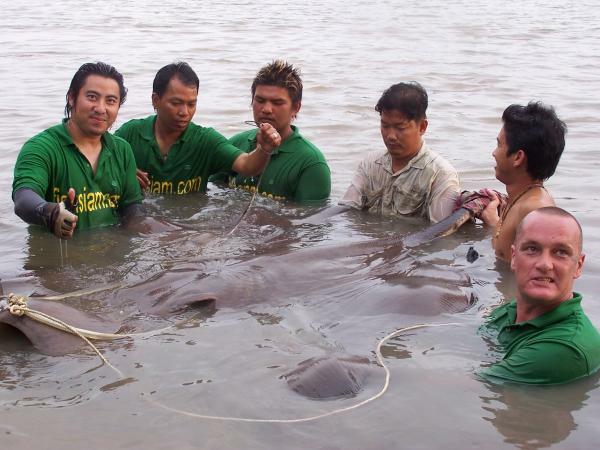 26/12/2007.Large female Giant freshwater stingray caught by Tom Parker estimated 180-200kg from the Ban Pakong River. 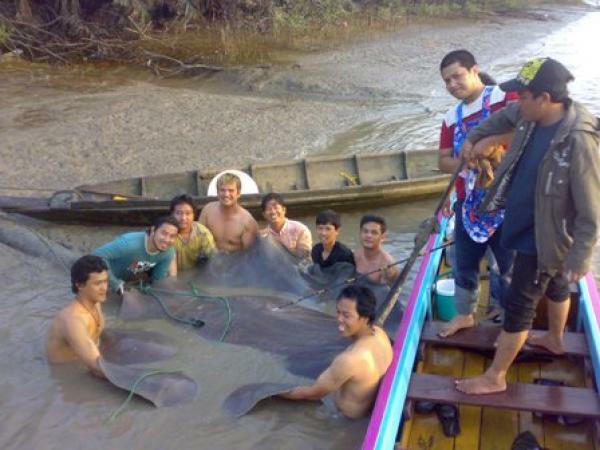 Large female Giant freshwater stingray caught by Tom Parker estimated 180-200kg from the Ban Pakong River. 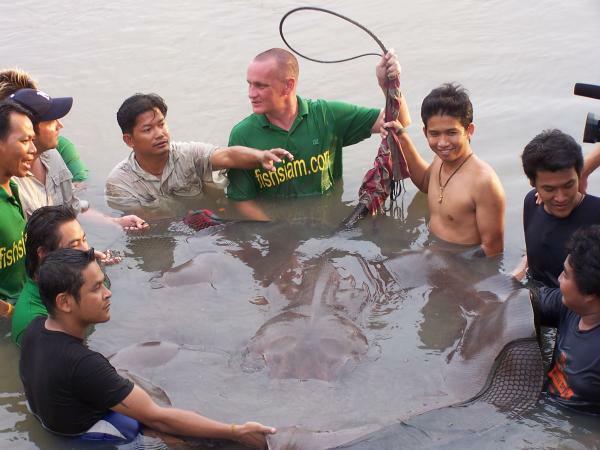 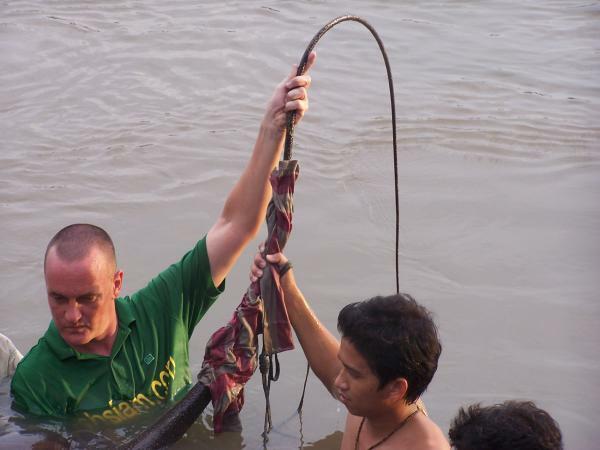 13/03/2008.Giant freshwater stingray caught from the Ban Pakong River by the fishsiam team estimated to weigh 180-190kg. 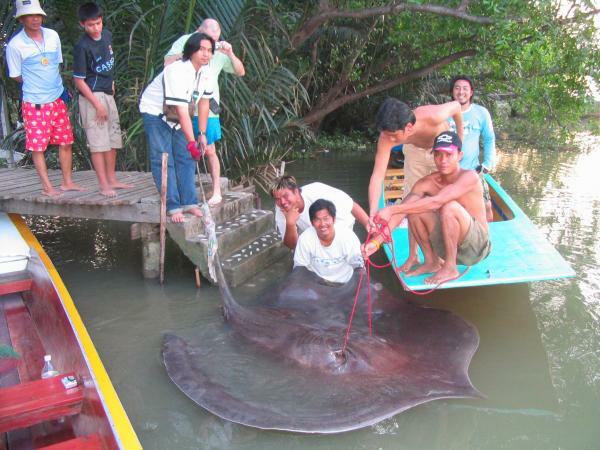 Giant freshwater stingray caught from Ban Pakong River 2005.Possibly the largest freshwater fish ever landed on rod and line.Estimated 200-220kg. 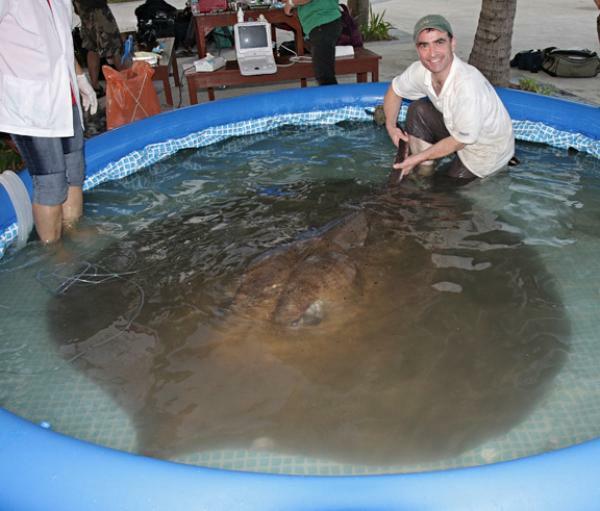 Possibly the largest freshwater fish ever caught a 265-350kg Giant freshwater stingray.